Wow, what a turn out we had for our annual Halloween blast on the square! It was one of the largest crowds we’ve ever had, thanks in part to perfect weather. 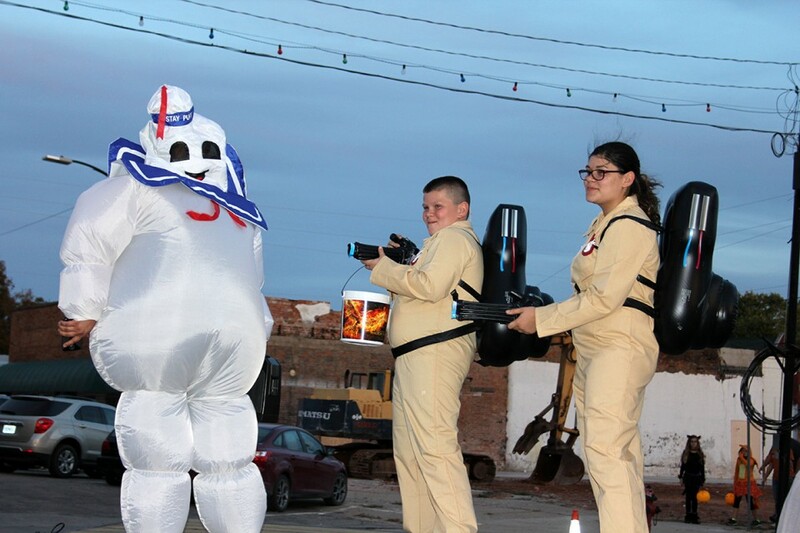 The community really showed up to create a fun night, with a full block of trunk or treat participants and costume contest entries (see sidebar for the winners). Our trolley rides to the Bates Elks Lodge haunted house was also a popular part of the evening! Thank you to our judges, volunteers and sponsors for another successful Chamber event. See our Facebook page for photos!